Note: The topic of this essay is unrelated to my research at MIT. Alzheimer’s is a devastating disease whose incidence is clearly on the rise in America. Fortunately, a significant number of research dollars are currently being spent to try to understand what causes Alzheimer’s. ApoE-4, a particular allele of the apolipoprotein apoE, is a known risk factor. Since apoE plays a critical role in the transport of cholesterol and fats to the brain, it can be hypothesized that insufficient fat and cholesterol in the brain play a critical role in the disease process. In a remarkable recent study, it was found that Alzheimer’s patients have only 1/6 of the concentration of free fatty acids in the cerebrospinal fluid compared to individuals without Alzheimer’s. In parallel, it is becoming very clear that cholesterol is pervasive in the brain, and that it plays a critical role both in nerve transport in the synapse and in maintaining the health of the myelin sheath coating nerve fibers. An extremely high-fat (ketogenic) diet has been found to improve cognitive ability in Alzheimer’s patients. These and other observations described below lead me to conclude that both a low-fat diet and statin drug treatment increase susceptibility to Alzheimer’s. Alzheimer’s is a devastating disease that takes away the mind bit by bit over a period of decades. It begins as odd memory gaps but then steadily erodes your life to the point where around-the-clock care is the only option. With severe Alzheimer’s, you can easily wander off and get lost, and may not even recognize your own daughter. Alzheimer’s was a little known disease before 1960, but today it threatens to completely derail the health system in the United States. Currently, over 5 million people in America have Alzheimer’s. On average, a person over 65 with Alzheimer’s costs three times as much for health care as one without Alzheimer’s. More alarmingly, the incidence of Alzheimer’s is on the rise. Dr. Murray Waldman has studied epidemiological data comparing Alzheimer’s with femur fractures, looking back over the last fifty years . Alarmingly, he has found that, while the incidence of femur fractures (another condition which typically increases with age) has gone up only at a linear rate, the increase in the incidence of Alzheimer’s has gone up exponentially, between 1960 and 2010 Alzheimer’s Epidemic . Just between 2000 and 2006, US Alzheimer’s deaths rose by 47%, while, by comparison, deaths from heart disease, breast cancer, prostate cancer, and stroke combined decreased by 11%. This increase goes far beyond people living longer: for people 85 and older, the percentage who died from Alzheimer’s rose by 30% between 2000 and 2005 . Finally, it’s likely these are under-estimates, as many people suffering with Alzheimer’s ultimately die of something else. 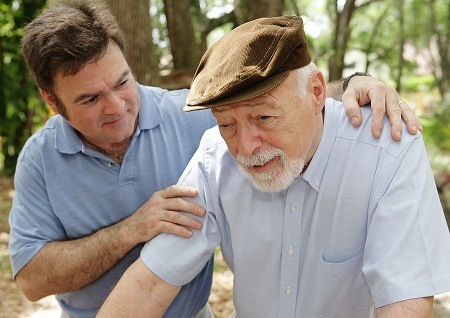 You likely have a close friend or relative who is suffering from Alzheimer’s. The ideas developed in this essay are the result of extensive on-line research I conducted to try to understand the process by which Alzheimer’s develops. Fortunately, a great deal of research money is currently being spent on Alzheimer’s, but a clearly articulated cause is still elusive. However, many exciting leads are fresh off the press, and the puzzle pieces are beginning to assemble themselves into a coherent story. Researchers are only recently discovering that both fat and cholesterol are severly deficient in the Alzheimer’s brain. It turns out that fat and cholesterol are both vital nutrients in the brain. The brain contains only 2% of the body’s mass, but 25% of the total cholesterol. Cholesterol is essential both in transmitting nerve signals and in fighting off infections. A crucial piece of the puzzle is a genetic marker that predisposes people to Alzheimer’s, termed “apoE-4.” ApoE plays a central role in the transport of fats and cholesterol. There are currently five known distinct variants of apoE (properly termed “alleles”), with the ones labelled “2”, “3” and “4” being the most prevalent. ApoE-2 has been shown to afford some protection against Alzheimer’s; apoE-3 is the most common “default” allele, and apoE-4, present in 13-15% of the population, is the allele that is associated with increased risk to Alzheimer’s. A person with apoE-4 allele inherited from both their mother and their father has up to a twenty-fold increased likelihood of developing Alzheimer’s disease. However, only about 5% of the people with Alzheimer’s actually have the apoE-4 allele, so clearly there is something else going on for the rest of them. Nonetheless, understanding apoE’s many roles in the body was a key step leading to my proposed low fat/statin theory. At the simplest level, the brain can be characterized as consisting of two major components: the gray matter and the white matter. The gray matter comprises the bodies of the neurons, including the cell nucleus, and the white matter contains the myriad of “wires” that connect each neuron to every other neuron it communicates with. The wires are known as “axons” and they can be quite long, connecting, for example, neurons in the frontal cortex (above the eyes) with other neurons deep in the interior of the brain concerned with memory and movement. The axons will figure prominently in the discussions below, because they are coated with a fatty substance called the myelin sheath, and this insulating layer is known to be defective in Alzheimer’s. Neurons pick up signals transmitted through the axons at junctures known as synapses. Here the message needs to be transmitted from one neuron to another one, and various neurotransmitters such as dopamine and GABA exert excitatory or inhibitory influences on signal strength. In adidtion to a single axon, neurons typically have several much shorter nerve fibers called dendrites, whose job is to receive incoming signals from diverse sources. At a given point in time, signals received from multiple sources are integrated in the cell body and a decision is made as to whether the accumulated signal strength is above threshold, in which case the neuron responds by firing a sequence of electrical pulses, which are then transmitted through the axon to a possibly distant destination. In addition to the neurons, the brain also contains a large number of “helper” cells called glial cells, which are concerned with the care and feeding of neurons. Three principle types of glial cells will play a role in our later discussion: the microglia, the astrocytes, and the oligodendrocytes. Microglia are the equivalent of white blood cells in the rest of the body. They are concerned with fighting off infective agents such as bacteria and viruses, and they also monitor neuron health, making life-and-death decisions: programming a particular neuron for apoptosis (intentional self-destruction) if it appears to be malfunctioning beyond hope of recovery, or is infected with an organism that is too dangerous to let flourish. The third type of glial cell is the oligodendrocyte. These cells specialize in making sure the myelin sheath is healthy. Oligodentrocytes synthesize a special sulfur-containing fatty acid, known as sulfatide, from other fatty acids supplied to them by the cerebrospinal fluid . Sulfatide has been shown to be essential for the maintenance of the myelin sheath. Children born with a defect in the ability to metabolize sulfatide suffer from progressive demyelination, and rapid loss of motor and cognitive functions, resulting in an early death before the age of 5 . Depletion in sulfatide is a well-known characterization of Alzheimer’s, even in early stages before it has been manifested as cognitive decline . And ApoE has been shown to play a crucial role in the maintenance of sulfatide . Throughout a person’s life, the myelin sheath has to be constantly maintained and repaired. This is something that researchers are only beginning to appreciate, but two related properties of Alzheimer’s are poor quality myelin sheath alongside a drastically reduced concentration of fatty acids and cholesterol in the cerebrospinal fluid . An important point about all the XDL’s is that they contain distinctly different compositions, and each is targeted (programmed) for specific tissues. A set of proteins called “apolipoproteins” or, equivalently, “apoproteins” (“apo’s” for short) figure strongly in controlling who gets what. As you can see from the schematic of the chylomicron shown at the right, it contains a rainbow of different apo’s for every conceivable application. But the XDL’s are far more specific, with HDL containing “A,” LDL containing “B,” VLDL containing “B” and “C,” and IDL containing only “E.” The apo’s have special binding properties that allow the lipid contents to be transported across cell membranes so that the cell can gain access to the fats and choleseterol contained inside. The only apo that is of concern to us in the context of this essay is apoE. ApoE is very important to our story because of its known link with Alzheimer’s disease. ApoE is a protein, i.e., sequence of amino acids, and its specific composition is dictated by a corresponding DNA sequence on a protein-coding gene. Certain alterations in the DNA code lead to defects in the ability of the transcribed protein to perform its biological roles. ApoE-4, the allele associated with increased risk to Alzheimer’s, is presumably unable to perform its tasks as efficiently as the other alleles. By understanding what apoE does, we can better infer how the consequences of doing it poorly might impact the brain, and then observe experimentally whether the features of the Alzheimer’s brain are consistent with the roles played by apoE. A strong clue about apoE’s roles can be deduced from where it is found. As I mentioned above, it is the only apo in both B-HDL in the cerebrospinal fluid and IDL in the blood serum. Only selected cell types can synthesize it, the two most significant of which for our purposes are the liver and the astrocytes in the brain. Thus the astrocytes provide the linkage between the blood and the cerebrospinal fluid. They can usher lipids and cholesterol across the blood-brain barrier, via the special key which is apoE. A final dimension of fats that plays a role is where the first double bond is located in a polyunsaturated fat, which distinguishes omega-3 from omega-6 fats (position 3; position 6). Omega-3 fats are very common in the brain. Certain ones of the omega-3 and omega-6 fats are essential fatty acids, in that the human body is unable to synthesize them, and therefore depends upon their supply from the diet. This is why it is claimed that fish “makes you smart”: because cold water fish is the best source of essential omega-3 fats. Now I want to return to the subject of the XDL’s. It is a dangerous journey from the liver to the brain, as both oxygen and microbes are found in abundance in the blood stream. The XDL’s protective shell contains both LPP’s andunesterified cholesterol, as well as the signature apo that controls which cells can receive the contents, as shown in the accompanying schematic. The internal contents are esterified cholesterol and fatty acids, along with certain antioxidants that are conveniently being transported to the cells packaged in the same cargo ship. Esterification is a technique to render the fats and cholesterol inert, which helps protect them from oxidation . Having the antioxidants (such as vitamin E and Coenzyme Q10) along for the ride is also convenient, as they too protect against oxidation. 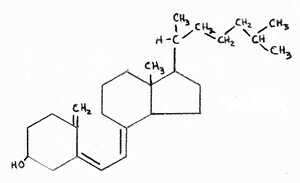 The cholesterol contained in the shell, however, is intentionally not esterified, which means that it is active. 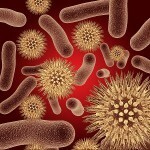 One of its roles there is to guard against invasive bacteria and viruses . Cholesterol is the first line of defense against these microbes, as it will alert the white blood cells to attack whenever it encounters dangerous pathogens. 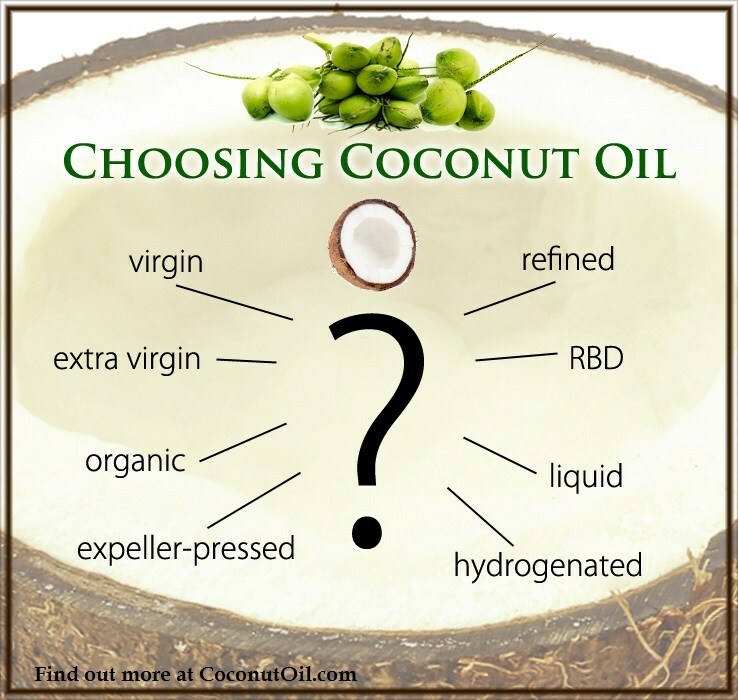 It has also been proposed that the cholesterol in the XDL’s shell itself acts as an antioxidant . HDL’s are mostly depleted of the lipid and cholesterol content, and they are tasked with returning the empty shell back to the liver. Once there, cholesterol will be recommissioned to enter the digestive system as part of the bile, which is produced by the gall bladder to help digest ingested fats. But the body is very careful to conserve cholesterol, so that 90% of it will be recycled from the gut back into the blood stream, contained in the chylomicron that began our story about fats. In summary, the management of the distribution of fats and cholesterol to the cells of the body is a complex process, carefully orchestrated to assure that they will have a safe journey to their destination. 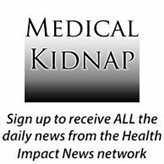 Dangers lurk in the blood stream, mostly in the form of oxygen and invasive microbes. 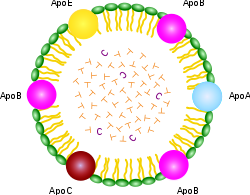 The body considers cholesterol to be precious cargo, and it is very careful to conserve it, by recycling it from the gut back to the liver, to be appropriately distributed among the XDL’s that will deliver both cholesterol and fats to the tissues that depend upon them, most especially the brain and nervous system. Through retrospective studies, the statin industry has been very successful at the game of pretending that benefits derived from high cholesterol are actually due to statins, as I have described at length in an essay on the relationship between statins and fetal damage, sepsis, cancer, and heart failure. In the case of Alzheimer’s, they are playing this game in reverse: they are blaming cholesterol for a very serious problem that I believe is actually caused by statins. The statin industry has looked long and hard for evidence that high cholesterol might be a risk factor for Alzheimer’s. They examined cholesterol levels for men and women of all ages between 50 and 100, looking back 30 or more years if necesssary, to see if there was ever a correlation between high cholesterol and Alzheimer’s. They found only one statistically significant relationship: men who had had high cholesterol in their 50’s had an increased susceptibility to Alzheimer’s much later in life . The statin industry has jumped on this opportunity to imply that high cholesterol might cause Alzheimer’s, and, indeed, they have been very fortunate in that reporters have taken the bait and are promoting the idea that, if high cholesterol many years ago is linked to Alzheimer’s, then statins might protect from Alzheimer’s. Fortunately, there exist lengthy web pages (Cholesterol Doesn’t Cause Alzheimer’s) that have documented the long list of reasons why this idea is absurd. Men who have high cholesterol in their 50’s are the poster child for statin treatment: all of the studies that have shown a benefit for statins in terms of reducing the number of minor heart attacks involved men in their 50’s. Highcholesterol is positively correlated with longevity in people over 85 years old , and has been shown to be associated with better memory function  and reduced dementia . The converse is also true: a correlation between falling cholesterol levels and Alzheimer’s . As will be discussed further later, people with Alzheimer’s also have reduced levels of B-HDL, as well as sharply reduced levels of fatty acids, in the cerbrospinal fluid, i.e, impoverished supply of cholesterol and fats to the myelin sheath . As we saw earlier, fatty acid supply is essential as building blocks for the sulfatide that is synthesized by oligodendrocytes to keep the myelin sheath healthy . The obvious study that needs to be done is to bin the men who had high cholesterol in their 50’s into three groups: those who never took statins, those who took smaller doses for shorter times, and those who took larger doses for longer times. Such a study would not be hard to do; in fact, I suspect something like it has already been done. But you’ll never hear about it because the statin industry has buried the results. In a very long term retrospective cohort study of members of the Permanente Medical Care Program in northern California, researchers looked at cholesterol data that were obtained between 1964 and 1973 . They studied nearly ten thousand people who had remained members of that health plan in 1994, upon the release of computerized outpatient diagnoses of dementia (both Alzheimer’s and vascular dementia). The subjects were between 40 and 45 years old when the cholesterol data were collected. The researchers found a barely statistically significant result that people who were diagnosed with Alzheimer’s had higher cholesterol in their 50’s than the control group. The mean value for the Alzheimer’s patients was 228.5, as against 224.1 for the controls. The question that everybody ought to be asking is: for the Alzheimer’s group, how did the people who later took statins stack up against the people who didn’t? In extreme understatement, the authors offhandedly remark in the middle of a paragraph: “Information on lipid-lowering treatments, which have been suggested to decrease dementia risk , was not available for this study.” You can be sure that, if there was any inkling that the statins might have helped, these researchers would have been allowed access to those data. The article they refer to for support, reference  in  (which is reference  here) was very weak. The abstract for that article is repeated in full here in the Appendix. But the concluding sentence sums it up well: “A more than a modest role for statins in preventing AD [Alzheimer’s Disease] seems unlikely.” This is the best they can come up with to defend the position that statins might protect from Alzheimer’s. An intuitive explanation for why high cholesterol at an early age might be correlated with Alzheimer’s risk has to do with apoE-4. People with that allele are known to have high cholesterol early in life , and I believe this is a protective strategy on the part of the body. The apoE-4 allele is likely defective in the task of importing cholesterol into the astrocytes, and therefore an increase in the bioavailability of cholesterol in blood serum would help to offset this deficit. Taking a statin would be the last thing a person in that situation would want to do. 5. Do Statins Cause Alzheimer’s? There is a clear reason why statins would promote Alzheimer’s. They cripple the liver’s ability to synthesize cholesterol, and as a consequence the level of LDL in the blood plummets. Cholesterol plays a crucial role in the brain, both in terms of enabling signal transport across the synapse  and in terms of encouraging the growth of neurons through healthy development of the myelin sheath . Nonetheless, the statin industry proudly boasts that statins are effective at interfering with cholesterol production in the brain  as well as in the liver. A recent review of two large population-based double-blind placebo-controlled studies of statin medications in individuals at risk for dementia and Alzheimer disease showed that statins are not protective against Alzheimer’s . The lead author of the study, Bernadette McGuinness, was quoted by a reporter from Science Daily as saying, “From these trials, which contained very large numbers and were the gold standard — it appears that statins given in late life to individuals at risk of vascular disease do not prevent against dementia.” A researcher at UCLA, Beatrice Golomb, when asked to comment on the results, was even more negative, saying, “Regarding statins as preventive medicines, there are a number of individual cases in case reports and case series where cognition is clearly and reproducibly adversely affected by statins.” In the interview, Golomb remarked that various randomized trials have shown that statins were either adverse or neutral towards cognition, but none have shown a favorable response. A common side effect of statins is memory dysfunction. Dr. Duane Graveline, fondly known as “spacedoc” because he served as a doctor to the astronauts, has been a strong advocate against statins on his web page where he is collecting evidence of statin side effects directly from statin users around the world. He was led to this assault on statins as a consequence of his own personal experience of transient global amnesia, a frightening episode of total memory loss which he is convinced was caused by the statin drugs he was taking at the time. He has now completed three books describing a diverse collection of damning side effects of statins, the most famous of which is Lipitor: Thief of Memory . A second way (besides their direct impact on cholesterol) in which statins likely impact Alzheimer’s is in their indirect negative effect on the supply of fatty acids and antioxidants to the brain. It is a given that statins drastically reduce the level of LDL in the blood serum. This is their claim to fame. 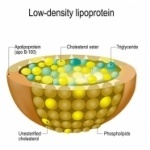 It is interesting, however, that they succeed in reducing not just the amount of cholesterol contained in the LDL particles, but rather the actual number of LDL particles altogether. 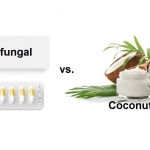 This means that, in addition to depleting cholesterol, they reduce the available supply to the brain of both fatty acids and antixodiants, which are also carried in the LDL particles. As we’ve seen, all three of these substances are essential to proper brain functioning. A third way in which statins may promote Alzheimer’s is by crippling the ability for cells to synthesize coenzyme Q10. Coenzyme Q10 has the misfortune of sharing the same metabolic pathway as cholesterol. Statins interfere with a crucial intermediate step on the pathway to the synthesis of both cholesterol and coenzyme Q10. Coenzyme Q10 is also known as “ubiquinone” because it seems to show up everywhere in cell metabolism. It is found both in the mitochondria and in the lysosomes, and its critical role in both places is as an antioxidant. The inert esters of both cholesterol and fatty acids are hydrolyzed and activated in the lysosomes , and then released into the cytoplasm. Coenzyme Q10 consumes excess oxygen to keep it from doing oxidative damage , while also generating energy in the form of ATP (adenosine triphosphate, the universal energy currency in biology). The final way in which statins should increase Alzheimer’s risk is through their indirect effect on vitamin D. Vitamin D is synthesized from cholesterol in the skin, upon exposure to UV rays from the sun. In fact, the chemical formula of vitamin D is almost indistinguishable from that of cholesterol, as shown in the two attached figures (cholesterol on the left, vitamin D on the right). If LDL levels are kept artificially low, then the body will be unable to resupply adequate amounts of cholesterol to replenish the stores in the skin once they have been depleted. This would lead to vitamin D deficiency, which is a widespread problem in America. 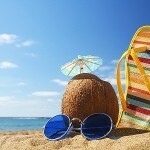 It is well known that vitamin D fights infection. 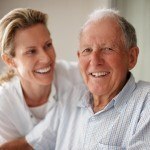 To quote from , “Patients with severe infections as in sepsis have a high prevalence of vitamin D deficiency and high mortality rates.” As will be elaborated on later, a large number of infective agents have been shown to be present in abnormally high amounts in the brains of Alzheimers patients . Alzheimer’s is clearly correlated with a deficiency in the supply of fat and cholesterol to the brain. IDL, when functioning properly, is actually incredibly efficient in cholesterol and fat throughput from the blood across cell membranes, compared to LDL . It gives up its contents much more readily than the other apo’s. And it achieves this as a direct consequence of apoE. IDL (as well as LDL) in the blood delivers fats and cholesterol to the astrocytes in the brain, and the astrocytes can thus use this external source instead of having to produce these nutrients themselves. I suspect, in fact, that astrocytes only produce a private supply when the external supply is insufficient, and they do so reluctantly. What to do? Well, it turns out that there is an alternative, although much less efficient, solution: to metabolize glucoseanaerobically directly in the cytoplasm. This process does not depend on oxygen (a great advantage) but it also yields substantially less ATP (only 6 ATP as contrasted with 30 if glucose is metabolized aerobically in the mitochondria). The end product of this anaerobic step is a substance called pyruvate, which could be further broken down to yield a lot more energy, but this process is not accessible to all cells, and it turns out that the astrocytes need help for this to happen, which is where amyloid-beta comes in. Amyloid-beta (also known as “abeta”) is the substance that forms the famous plaque that accumulates in the brains of Alzheimer’s patients. It has been believed by many (but not all) in the research community that amyloid-beta is the principal cause of Alzheimer’s, and as a consequence, researchers are actively seeking drugs that might destroy it. 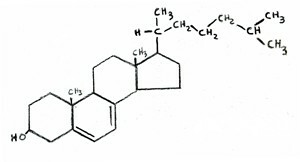 However, amyloid-beta has the unique capability of stimulating the production of an enzyme, lactate dehydrogenase, which promotes the breakdown of pyruvate (the product of anaerobic glucose metabolism) into lactate, through an anaerobic fermentation process, with the further production of a substantial amount of ATP. Thus, in my view (and in the view of others   Amyloid-Beta and Alzheimer’s), amyloid-beta is not a cause of Alzheimer’s, but rather a protective device against it. The abstract of reference  arguing this point of view is reproduced in full in the Appendix. Several variants of a genetic defect associated with amyloid precursor protein (APP), the protein from which amyloid-beta is derived, have now been identified. A defect in this protein, which is associated with an increased risk of early onset Alzheimer’s, would likely lead to a reduced ability to synthesize amyloid-beta, which would then leave the brain with a big problem, since both the fuel and the basic building blocks for fatty acid synthesis would be in short supply, while oxygen trekking through the cell to the mitochondria would be exposing whatever fats were being synthesized to oxidation. The cell would likely be unable to keep up with need, and this would lead to a reduction in the number of fatty acids in the Alzheimer’s cerebrospinal fluid, a well-established characteristic of Alzheimer’s . The brain comprises only 2% of the body’s total weight, yet it contains nearly 25% of the total cholesterol in the body. It has been determined that the limiting factor allowing the growth of synapses is the availability of cholesterol, supplied by the astrocytes. Cholesterol plays an incredibly important role in the synapse, by shaping the two cell membranes into a snug fit so that the signal can easily jump across the synapse . So inadequate cholesterol in the synapse will weaken the signal at the outset, and inadequate fat coating the myelin sheath will further weaken it and slow it down during transport. A neuron that can’t send its messages is a useless neuron, and it only makes sense to prune it away and scavenge its contents. In a post-mortem study comparing Alzheimer’s patients with a control group without Alzheimer’s, it was found that the Alzheimer’s patients had significantly reduced amounts of cholesterol, phospholipids (e.g, B-HDL), and free fatty acids in the cerebrospinal fluid than did the controls . This was true irrespective of whether the Alzheimer’s patients were typed as apoE-4. In other words, reductions in these critical nutrients in the spinal fluid are associated with Alzheimer’s regardless of whether the reduction is due to defective apoE. The reductions in fatty acids were alarming: 4.5 micromol/L in the Alzheimer’s patients, compared with 28.0 micromol/L in the control group. This is a reduction by more than a factor of 6 in the amount of fatty acid available to repair the myelin sheath! People with the apoE-4 allele tend to have high serum cholesterol. The question of whether this high cholesterol level might be an attempt on the part of the body to adjust for a poor rate of cholesterol uptake in the brain was addressed by a team of researchers in 1998 . They studied 444 men between 70 and 89 years old at the time, for whom there existed extensive records of cholesterol levels dating back to several decades ago. Most significantly, cholesterol levels fell for the men who developed Alzheimer’s prior to their showing Alzheimer’s symptoms. The authors suggested that their high cholesterol might have been a protective mechanism against Alzheimer’s. One might wonder why their cholesterol levels fell. There was no mention of statin drugs in the article, but statins would certainly be an effective way to reduce cholesterol levels. The statin industry would like people to believe that high cholesterol is a risk factor for Alzheimer’s, and they are quite thrilled that high cholesterol early in life is correlated with Alzheimer’s much later. But these results suggest quite the opposite: that blood cholesterol levels are kept high intentionally by the body regulatory mechanisms in an attempt to compensate for the defect. A high concentration will lead to an increase in the rate of delivery to the brain, where it is critically needed to keep the myelin sheath healthy and to promote neuron signaling in the synapses. Using MRI technology, researchers at UCLA were able to measure the degree of breakdown of myelin in specific regions of the brain . They conducted their studies on over 100 people between 55 and 75 years old, for whom they also determined the associated apoE allele (2, 3, or 4). They found a consistent trend in that apoE-2 had the least amount of degradation, and apoE-4 had the most, in the frontal lobe region of the brain. All of the people in the study were thus far healthy with respect to Alzheimer’s. These results show that premature breakdown of myelin sheath (likely due to an insufficient supply of fats and cholesterol to repair it) is associated with apoE-4. To summarize, I hypothesize that, for the apoE-4 Alzheimer’s patients, defective apoE has led to an impaired ability to transport fats and cholesterol from the blood stream, via the astrocytes, into the cerebrospinal fluid. The associated high blood serum cholesterol is an attempt to partially correct for this defect. For the rest of the Alzheimer’s patients (the ones without the apoE-4 allele but who also have severely depleted fatty acids in their cerebrospinal fluid), we have to look for another reason why their fatty acid supply chain might be broken. To summarize what I have said so far, Alzheimer’s appears to be a consequence of an inability of neurons to function properly, due to a deficiency in fats and cholesterol. A compounding problem is that the fats over time will become rancid if they cannot be adequately replenished. Rancid fats are vulnerable to attack by microorganisms such as bacteria and viruses. Amyloid-beta is part of the solution because it allows the astrocytes to be much more effective in utilizing glucose anaerobically, which protects the internally synthesized fats and cholesterol from toxic oxygen exposure, while at the same time providing the energy needed both by the astrocyte for the synthesis process and by neighboring neurons to fuel their signal firings. Besides the astrocytes, the microglia in the brain are also implicated in Alzheimer’s. Microglia promote neuron growth when all is well, but trigger neuron programmed cell death in the presence of toxic substances secreted by bacteria such as polysaccharides . Microglia will defensively secrete cytokines (communication signals that promote an immune response) when exposed to infective agents, and these in turn will lead to inflammation, another well-known feature associated with Alzheimer’s . The microglia are able to control whether neurons should live or die, and they surely base this decision on factors related to how well the neuron functions and whether it is infected. Once enough neurons have been programmed for cell death, the disease will manifest itself as cognitive decline. There is substantial evidence that Alzheimer’s is related to an increased likelihood of infective agents appearing in the brain. 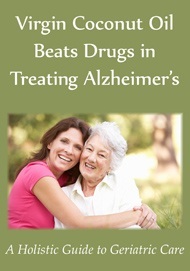 Some researchers believe that infective agents are the principle cause of Alzheimer’s. There are a number of bacteria that reside in the human digestive system and can co-exist with our own cells without any harm. However, H. pylori, one that is quite common, has been recently shown to be responsible for stomach ulcers. 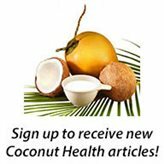 It has been suspected that H. Pylori might be implicated in Alzheimer’s, and, indeed, a recent study showed that Alzheimer’s patients had a significantly higher concentration of an antibody against H. Pylori in both their cerebrospinal fluid and their blood than non-Alzheimer’s controls . H. pylori was detected in 88% of the Alzheimer’s patients but only 47% of the controls. In an effort to treat the Alzheimer’s patients, the researchers administered a potent combination of antibiotics, and assessed the degree of mental decline over the next two years . For 85% of the patients, the infection was successfully routed, and for those patients, cognitive improvement was also detected after two years had elapsed. So this was a nice example of the possibility of treating Alzheimer’s through antibiotics. C. pneumoniae is a very common bacterium, estimated to infect 40-70% of adults. But there’s a big difference between a bacterium being in the blood stream and making its way into the inner sanctum of the brain. A study of post-mortem samples from various regions of the brains of Alzheimer’s patients and non-Alzheimer’s controls revealed a remarkably different statistic: 17 out of 19 Alzheimer’s brains tested positive for the bacterium, whereas only 1 out of 19 brains from the control group tested positive . Many other infective agents, both viruses and bacteria, have been found to be associated with Alzheimer’s, including herpes simplex virus, picornavirus, Borna disease virus, and spirochete . One proposal was that a particularbacteriophage — a virus that infects the bacterium C. pneumoniae — might be responsible for Alzheimer’s . The authors argued that the phages might make their way into the mitochondria of the host cell and subsequently initiate Alzheimer’s. One of the promising new treatment paradigms for Alzheimer’s is to have the patient switch to an extremely high fat, low carb diet, a so-called “ketogenic” diet. The name comes from the fact that the metabolism of dietary fats produces “ketone bodies” as a by-product, which are a very useful resource for metabolism in the brain. It is becoming increasingly clear that defective glucose metabolism in the brain (so-called “type-3 diabetes”) is an early characteristic of Alzheimer’s. 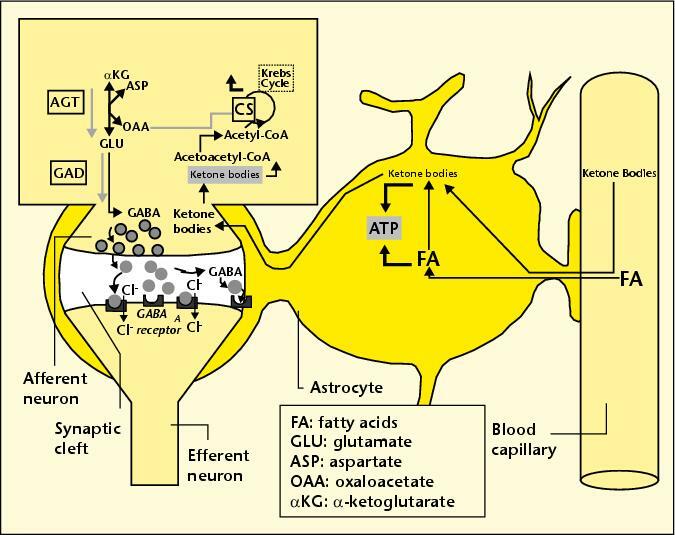 Ketone bodies, whether they enter the astrocyte directly or are produced in the astrocyte itself by breaking down fats, can be delivered to adjacent neurons, as shown in the accompanying figure. These neurons can utilize the ketone bodies both as an energy source (replacing and therefore relieving glucose) and as a precursor to GABA, a critical neurotransmitter that is widespread in the brain. Evidence that a ketogenic diet might help Alzheimer’s was first found through research conducted on mice who had been bred to be prone to Alzheimer’s disease . Researchers found that the mice’s cognition improved when they were treated with a high-fat low-carb diet, and also that the amount of amyloid-beta in their brain was reduced. The latter effect would be anticipated based on the premise that amyloid-beta promotes full utilization of glucose anaerobically, as I discussed previously. By having ketone bodies as an additional source of fuel, the dependence on glucose is reduced. But another effect that may be more important than this is the availability of high-quality fats to improve the condition of the myelin sheath. This idea is supported by other experiments done on human Alzheimer’s patients  . A placebo-controlled 2004 study  of the effect of dietary fat enrichment on Alzheimer’s is especially informative, because it uncovered a significant difference in effectiveness for the fat-enrichment for subjects who did not have the apoE-4 allele as compared with those who did. 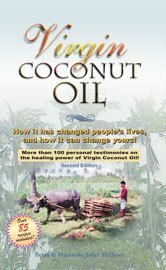 The experimental test group were given a supplemental drink containing emulsified medium chain triglycerides, found in high concentration in coconut oil. The subjects without the apoE-4 allele showed a significant improvement in score on a standard test for Alzheimer’s, whereas those with the apoE-4 allele did not. This is a strong indicator that the benefit may have to do with an increase in uptake by the astrocyte of these high-quality fats, something that the subjects with the apoE-4 allele are unable to accomplish due to the defective IDL and LDL transport mechanisms. One of the very few promising treatments for Alzheimer’s is the coenzyme, NADH (nicotinamide adenine dinucleotide) . In a placebo-controlled study, Alzheimer’s subjects given NADH for six months exhibited significantly better performances on verbal fluency, visual constructional ability and abstract verbal reasoning than the control subjects given a placebo. It has been observed that some elderly people suffer temporary and sometimes permanent cognitive decline following a lengthy operation. Researchers at the University of South Florida and Vanderbilt University suspected that this might be due to excessive exposure to oxygen . Typically, during an operation, people are often administered high doses of oxygen, even as much as 100% oxygen. The researchers conducted an experiment on young adult mice, which had been engineered to be predisposed towards Alzheimer’s but had not yet suffered cognitive decline. They did however already have amyloid-beta deposits in their brains. The re-engineered mice, as well as a control group that did not have the Alzheimer’s susceptibility gene, were exposed to 100-percent oxygen for a period of three hours, three times over the course of several months, simulating repeated operations. They found that the Alzheimer’s pre-disposed mice suffered significant cognitive decline following the oxygen exposure, by contrast with the control mice. This is a strong indication that the excessive oxygen exposure during operations is causing oxidative damage in the Alzheimer’s brain. Given the arguments I have presented above, this result makes good sense. The brain, by converting to anaerobic metabolism for generating energy (with help from amyloid-beta) is trying its best to avoid exposing the fatty acids and cholesterol to oxidative damage. But an extremely high concentration of oxygen in the blood makes it very difficult to protect the fats and cholesterol during transport through the blood, and also probably causes an unavoidable increase in oxygen uptake and therefore exposure within the brain itself. You would practically have to be as isolated as an Australian Aborigine not to have absorbed the message that dietary fats, particularly saturated fats, are unhealthy. I am extremely confident that this message is false, but it is nearly impossible to turn the opinion tide due to its pervasive presence. Most people don’t question why fats are bad; they assume that researchers must have done their homework, and they trust the result. 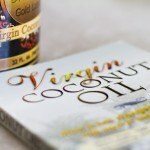 To say that the current situation with regard to dietary fats is confusing would be an understatement. We are repeatedly told to keep our total fat intake down to, ideally, 20% of our total calories. This is difficult to achieve, and I believe it is misguided advice. In direct contradiction to this “low-fat” goal, we are encouraged to consume as much as possible of the “good” kinds of fats. Fortunately, the message is finally becoming widely embraced that omega-3 fats are healthy and that trans fats are extremely unhealthy. DHA (docosahexaenoic acid) is an omega-3 fat that is found in large quantities in the healthy brain. In the diet, it is available mainly from cold water fish, but eggs and dairy are also good sources. Trans fats are generated by a high-heat process that hydrolyzes polyunsaturated fats into a more stable configuration, which increases their shelf life but makes them so unnatural they almost can no longer be called a food. Trans fats are extremely damaging both to heart and brain health. A high consumption of trans fats has recently been shown to increase the risk of Alzheimer’s . Trans fats are especially prevalent in highly processed foods — particularly when fats are converted to a powdered form. We are told to avoid saturated fats, mainly because they have appeared, from empirical evidence, to be more likely to raise LDL levels than unsaturated fats. Yet these fats are less susceptible to oxidation, and this may be why they show up in LDL — because they are of higher quality and therefore should preferentially be delivered to the tissues for functional roles rather than as fuel (i.e., free fatty acids). 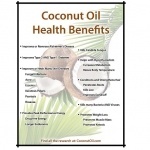 Coconut oil, a saturated fat, has been shown to benefit Alzheimer’s patients . And high-fat dairy (also highly saturated) has been shown to be beneficial both to fertility among women  and, remarkably, to heart disease . Researchers in Germany recently conducted an ingenious experiment designed to determine how the degree of freshness of polyunsaturated fats affects the metabolism of those fats in female lactating rats . They divided female rats into two groups, and the only difference between the test group and the controls was that the test group was given fats that had been left in a relatively warm place for 25 days, which caused considerable oxidative damage, whereas the controls were fed fresh fats instead. The rats’ unusual diet was begun on the day that they gave birth to a litter. The researchers examined the mammary glands and the milk produced by the two groups for apparent differences. They found that the test group’s milk was markedly reduced in the amount of fat it contained, and their mammary glands correspondingly took up less fat from the blood supply. One might surmise that the rats’ metabolic mechanisms were able to detect oxidative damage to the fats, and therefore rejected them, prefering to do without rather than to risk the consequences of feeding their pups oxidized fats. Consequently, the pups of the test group gained significantly less weight than the control group’s pups. Boxed items like cookies and crackers that contain processed polyunsaturated fats are doctored with antioxidants and even antibiotics to protect them from spoiling. Once they’re consumed, however, they still have to be protected from going rancid. Biochemical laws work the same way whether inside or outside the body. 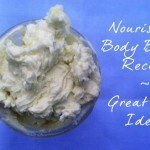 There are plenty of bacteria throughout the body that would be eager to take up house-keeping in rancid fats. 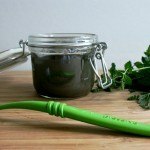 The body has devised all kinds of strategies for protecting fats from oxidation (becoming rancid) and from attack by bacteria. 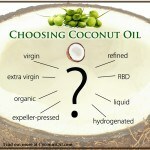 But its task is rendered much easier for saturated rather than unsaturated fats, and for fresh rather than stale fats. If we stop trying to get by on as few fats as possible in the diet, then we don’t have to become so preoccupied with getting the “right” kinds of fats. If the body is supplied with an overabundance of fats, it can pick and choose to find the perfect fat to match each particular need; excess or defective fats can just be used as fuel, where it’s not very important which fat it is, as long as it can be broken down to release energy. This is an exciting time for Alzheimer’s research, as new and surprising discoveries are coming out at a rapid pace, and evidence is mounting to support the notion that Alzheimer’s is a nutritional deficiency disease. It is an indication of how much progress has been made in recent years to note that 42% of the references in this essay were published in 2008 or 2009. A popular new theory is that Alzheimer’s may grow out of an impaired ability to metabolize glucose in the brain. The term “type-3 diabetes” has been coined to describe this defect, which often appears long before any symptoms of Alzheimer’s . A shift from aerobic towards anaerobic glucose metabolism in the brain seems to be a harbinger of Alzheimer’s later in life, but I argue that the reason for this shift is both to provide a basic ingredient (pyruvate) from which to synthesize fatty acids, while simultaneously protecting them from potentially damaging oxidation. The ApoE-4 allele, which is associated with increased risk to Alzheimer’s, clearly implicates defects in fat and cholesterol transport, and the remarkable 6-fold reduction in the amount of fatty acids present in the cerebrospinal fluid of Alzheimer’s patients  speaks loudly the message that fat insufficiency is a key part of the picture. The observation that the myelin is degraded in the frontal lobes of the brains of people possessing the apoE-4 allele further substantiates the theory that the myelin repair mechanism is defective. Given the strong positive role played by cholesterol, it can only be assumed that statin drugs would increase the risk of developing Alzheimer’s. However, the statin industry has been remarkably successful thus far in hiding this painful fact. They have managed to make much of the observation that high cholesterol much earlier in life is associated with an increased risk to Alzheimer’s thirty years later. Yet they offer not a single study, not even a retrospective study, to substantiate any claim that actively reducing cholesterol through statin therapy would improve the situation for these people. In fact, most damningly, the statin usage evidence that would answer the question was “unavailable” to the researchers who conducted the seminal study. In addition to refusing to take statin therapy, another way in which an individual can improve their odds against Alzheimer’s is to consume plenty of dietary fats. It seems odd to suddenly switch from a “healthy” low-fat diet to an extremely high fat ketogenic diet, once a diagnosis of Alzheimer’s is made. A ketogenic diet consists, ideally, of 88% fat, 10% protein, and 2% carbohydrate . That is to say, it is absurdly high in fat content. It seems much more reasonable to aim for something like 50% fat, 30% protein, and 20% carbohydrate, so as to pro-actively defend against Alzheimer’s. I highly recommend a recent book written by the pediatric brain surgeon, Larry McCleary, M.D., called The Brain Trust Program . This book gives a wealth of fascinating information about the brain, as well as specific recommendations for ways to improve cognitive function and avert later Alzheimer’s. Most significantly, he recommends a diet that is high in cholesterol and animal fats, including an abundance of fish, seafood, meat, and eggs. 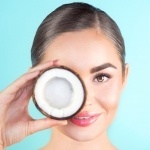 He also recommends coconuts, almonds, avocados and cheese, all foods that contain a significant amount of fat, while encouraging the avoidance of “empty carbs.” His knowledge on this subject grew out of his interest in helping his young patients heal more rapidly after brain trauma. Our nation is currently bracing itself for an onslaught of Alzheimer’s, at a time when baby boomers are approaching retirement, and our health care system is already in a crisis of escalating costs and shrinking funds. 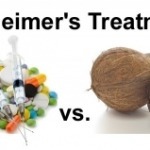 We can not afford the high cost of caring for the swelling population of Alzheimer’s patients that our current practices of low-fat diet and ever expanding statin usage are promoting. Alzheimer’s Association, “Alzheimer’s Disease Facts and Figures,” Alzheimer’s and Dementia (2009) Vol. 5, Issue 3. K.J. Anstey, D.M. Lipnicki and L.F. Low, “Cholesterol as a risk factor for dementia and cognitive decline: a systematic review of prospective studies with meta-analysis.” Am J Geriatr Psychiatry (2008) May, Vol. 16, No. 5, pp. 343-54. G. Arendash, A. Cox, T. Mori, J. Cracchiolo, K. Hensley, J. Roberts 2nd, “Oxygen treatment triggers cognitive impairment in Alzheimer’s transgenic mice,” Neuroreport. (2009) Jun 18. B.J. Balin, C.S. Little, C.J. Hammond, D.M. Appelt, J.A. Whittum-Hudson, H.C. Gerard, A.P. Hudson, “Chlamydophila pneumoniae and the etiology of late-onset Alzheimer’s disease.” J. Alz. Dis. (2008) Vol. 13, pp. 371-380. G. Bartzokis, MD; P.H. Lu, Psy, D.H. Geschwind, MD, N.Edwards, MA, J. Mintz, PhD, and J.L. Cummings, MD, “Apolipoprotein E Genotype and Age-Related Myelin Breakdown in Healthy Individuals: Implications for Cognitive Decline and Dementia,” Arch Gen Psychiatry (2006) Vol. 63, pp. 63-72. N. Bernoud, L. Fenart, C. BÃ©nistant, J. F. Pageaux, M. P. Dehouck, P. MoliÃ¨re, M. Lagarde, R. Cecchelli,d, and J. Lecerf, “Astrocytes are mainly responsible for the polyunsaturated fatty acid enrichment in blood-brain barrier endothelial cells in vitro” Journal of Lipid Research (1998) Sept., Vol. 39, pp. 1816-1824. M. S. Brown and J. L. Goldstein, “A Receptor-Mediated Pathway for Cholesterol Homeostasis,” Nobel Lecture, December 9, 1985. L.C. Costantini, L.J. Barr, J.L. Vogel and S.T. Henderson, “Hypometabolism as a therapeutic target in Alzheimer’s disease” BMC Neurosci (2008) Vol. 9, Suppl. 2, S16. doi: 10.1186/1471-2202-9-S2-S16. V. Demarin, S.S. Podobnik, D. Storga-Tomic and G. Kay, “Treatment of Alzheimer’s disease with stabilized oral nicotinamide adenine dinucleotide: A randomized, double-blind study” Drugs Exp Clin Res. (2004) Vol. 30, No. 1, pp. 27-33. R.B. DeMattos, R.P. Brendza, J.E. Heuser, M.Kierson, J.R. Cirrito, J. Fryer, P.M. Sullivan, A.M. Fagan, X. Han and D.M. Holtzman, “Purification and characterization of astrocyte-secreted apolipoprotein E and J-containing lipoproteins from wild-type and human apoE transgenic mice,” Neurochem Int. (2001) Nov-Dec;39(5-6):415-25. doi:10.1016/S0197-0186(01)00049-3. M. Dezfulian, M.A. ShokrgozarA, S. Sardari, K. Parivar and G. Javadi, “Can phages cause Alzheimer’s disease?” Med Hypotheses (2008) Nov;71(5):651-6. 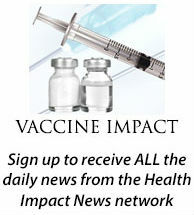 W.R. Grant, Ph.D., “Does Vitamin D Reduce the Risk of Dementia?” Journal of Alzheimer’s Disease (2009) May, Vol. 17, No. 1., pp. 151-9. X. Han, “Potential mechanisms contributing to sulfatide depletion at the earliest clinically recognizable stage of Alzheimer’s disease: a tale of shotgun lipidomics,” J Neurochem (2007) November, Vol. 103, Suppl. 1. pp. 171-179. doi: 10.1111/j.1471-4159.2007.04708.x. X. Han, H. Cheng, J.D. Fryer, A.M. Fagan and D.M. Holtzman, “Novel Role for Apolipoprotein E in the Central Nervous System: Modulation of Sulfatide Content” Journal of Biological Chemistry, March 7, 2003, Vol. 278, pp. 8043-8051, DOI 10.1074/jbc.M212340200. K. Heininger, “A unifying hypothesis of Alzheimer’s disease. IV. Causation and sequence of events,” Rev Neurosci. (2000) Vol. 11, Spec No, pp.213-328. K. Honjo, R. van Reekum, and N.P. Verhoeff, “Alzheimer’s disease and infection: do infectious agents contribute to progression of Alzheimer’s disease?” Alzheimers Dement. (2009) Jul;5(4):348-60. S.M. Innis and R.A. Dyer, “Brain astrocyte synthesis of docosahexaenoic acid from n-3 fatty acids is limited at the elongation of docosapentaenoic acid,” (2002) Sept. Journal of Lipid Research, Vol. 43, pp. 1529-1536. L. Jeng, A.V. Yamshchikov, S.E. Judd, H.M. Blumberg, G.S. Martin, T.R. Ziegler and V. Tangpricha, “Alterations in Vitamin D Status and Anti-microbial Peptide Levels in Patients in the Intensive Care Unit with Sepsis,” Journal of translational Medicine,” (2009) Vol. 7, No. 28. J. Kountouras, M. Boziki, E. Gavalas, C. Zavos, G. Deretzi, N. Grigoriadis, M. Tsolaki, D. Chatzopoulos, P. Katsinelos, D. Tzilves, A. Zabouri, I. Michailidou, “Increased cerebrospinal fluid Helicobacter pylori antibody in Alzheimer’s disease,” Int J Neurosci. (2009) 119(6):765-77. J. Kountouras, M. Boziki, E. Gavalas, C. Zavos, N. Grigoriadis, G. Deretzi, D. Tzilves, P. Katsinelos, M. Tsolaki, D. Chatzopoulos, and I. Venizelos, “Eradication of Helicobacter pylori may be beneficial in the management of Alzheimer’s disease,” J Neurol. (2009) May;256(5):758-67. Epub 2009 Feb 25. H.G. Lee, X. Zhu, R.J. Castellani, A. Nunomura, G. Perry, and M.A. Smith, “Amyloid-beta in Alzheimer disease: the null versus the alternate hypotheses,” J Pharmacol Exp Ther. (2007) June, Vol. 321 No. 3, pp. 823-9. doi:10.3390/ijerph6102626. J. Marcus, S. Honigbaum, S. Shroff, K. Honke, J. Rosenbluth and J.L. Dupree, “Sulfatide is essential for the maintenance of CNS myelin and axon structure,” Glia (2006), Vol. 53, pp. 372-381. R.T. Matthews, L. Yang, S. Browne, M. Baik and M.F. 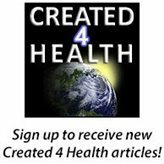 Beal, “Coenzyme Q10 administration increases brain mitochondrial concentrations and exerts neuroprotective effects,” Proc Natl Acad Sci U S A. (1998) Jul 21, Vol. 95, No. 15, pp.8892-7. D. Lutjohann and K. von Bergmann, “24S-hydroxycholesterol: a marker of brain cholesterol metabolism”Pharmacopsychiatry (2003) January 10, Vol. 36 Suppl 2, pp. S102-6, DOI: 10.1055/s-2003-43053. J. C. McCann and B.N. Ames, “Is there convincing biological or behavioral evidence linking vitamin D deficiency to brain dysfunction?”, (2008) FASEB J. Vol. 22, pp. 982-1001. doi: 10.1096/fj.07-9326rev. B. McGuinness et al., “Statins for the prevention of dementia,” Cochrane Database of Systematic Reviews,(2009) No. 2. M.M. Mielke, P.P. Zandi, M. Sjogren, et al. “High total cholesterol levels in late life associated with a reduced risk of dementia,” Neurology (2005) Vol. 64, pp. 1689-1695. S.A. Moore, “Polyunsaturated Fatty Acid Synthesis and Release by Brain-Derived Cells in Vitro,” Journal of Molecular Neuroscience (2001), Vol. 16, pp. 195ff. D. Mozaffarian, E.B. Rimm, D.M. Herrington, “Dietary fats, carbohydrate, and progression of coronary atherosclerosis in postmenopausal women,” Am J Clin Nutr (2004) Vol. 80, pp. 1175-84. M. Mulder, R. Ravid, D.F. Swaab, E.R. de Kloet, E.D. Haasdijk, J. Julk, J.J. van der Boom and L.M. Havekes, “Reduced levels of cholesterol, phospholipids, and fatty acids in cerebrospinal fluid of Alzheimer disease patients are not related to apolipoprotein E4,” Alzheimer Dis Assoc Disord. (1998) Sep, Vol. 12, No. 3, pp. 198-203. I.L. Notkola, R. Sulkava, J. Pekkanen, T. Erkinjuntti, C. Ehnholm, P. Kivinen, J. Tuomilehto, and A. Nissinen, “Serum total cholesterol, apolipoprotein E epsilon 4 allele, and Alzheimer’s disease,” Neuroepidemiology (1998) Vol. 17, No. 1, pp. 14-20. F.W. Pfrieger, “Outsourcing in the brain: Do neurons depend on cholesterol delivery by astrocytes?”, BioEssays(2003) Vol. 25 Issue 1, pp.72-78. A. Phivilay, C. Julien, C. Tremblay, L. Berthiaume, P. Julien, Y. GiguÃ¨re and F. Calon, “High dietary consumption of trans fatty acids decreases brain docosahexaenoic acid but does not alter amyloid-beta and tau pathologies in the 3xTg-AD model of Alzheimer’s disease.” Neuroscience (2009) Mar 3, Vol. 159, No. 1, pp. 296-307. Epub 2008 Dec 14. R. Ringseis, C. Dathe, A. Muschick, C. Brandsch and K. Eder, “Nutrient Physiology, Metabolism, and Nutrient-Nutrient Interactions Oxidized Fat Reduces Milk Triacylglycerol Concentrations by Inhibiting Gene Expression of Lipoprotein Lipase and Fatty Acid Transporters in the Mammary Gland of Rats,” American Society for Nutrition J. Nutr. (2007) Sept., Vol. 137, pp. 2056-2061. K. Rockwood, “Epidemiological and clinical trials evidence about a preventive role for statins in Alzheimer’s disease.” Acta Neurol Scand Suppl. (2006) Vol. 185, pp. 71-7. G. Saher, B. Brugger, C. Lappe-Siefke, W. Mobius, R. Tozawa, M.C. Wehr, F. Wieland, S. Ishibashi, and K.A. Nave, “High cholesterol level is essential for myelin membrane growth.” Nat Neurosci (2005) Apr, Vol. 8, No. 4, pp. 468-75. Epub 2005 Mar 27. A. Solomon, M. Kivipelto, B. Wolozin, J. Zhou, and R.A. Whitmer, “Midlife Serum Cholesterol and Increased Risk of Alzheimer’s and Vascular Dementia Three Decades Later,” Dementia and Geriatric Cognitive Disorders (2009) Vol. 28, pp. 75-80, DOI: 10:1159/000231980. M. Simons, MD, P. Keller, PhD, J. Dichgans, MD and J.B. Schulz, MD, “Cholesterol and Alzheimer’s disease: Is there a link?” Neurology (2001) Vol. 57, pp. 1089-1093. L.L. Smith, “Another cholesterol hypothesis: cholesterol as antioxidant,” Free Radic Biol Med. (1991) Vol. 11, No. 1, pp. 47-61. E. Steen, B.M. Terry, E.J. Rivera, J.L. Cannon, T.R. Neely, R. Tavares, X.J. Xu, J.R. Wands, and S.M. de la Monte “Impaired insulin and insulin-like growth factor expression and signaling mechanisms in Alzheimer’s disease – is this type 3 diabetes?” Journal of Alzheiner’s Disease (2005) Vol. 7, Number 1, pp. 63-80. J. Tong, P.P. Borbat, J.H. Freed and Y-K Shin, “A scissors mechanism for stimulation of SNARE-mediated lipid mixing by cholesterol,” PNAS (2009) March 31 Vol. 106, No. 13, pp. 5141-5146. M-C Vohl, T. A.-M. Neville, R. Kumarathasan, S. Braschi, and D.L. Sparks, “A Novel Lecithin-Cholesterol Acyltransferase Antioxidant Activity Prevents the Formation of Oxidized Lipids during Lipoprotein Oxidation,”Biochemistry (1999) Vol. 38 No. 19, pp. 5976-5981. DOI: 10.1021/bi982258w. M. Waldman, MD,, 9th International Conference on Alzheimer’s and Parkinson’s Diseases (2009) Abstract 90, Presented March 12-13. R. West, M.A., M. Schnaider Beeri, Ph.D., J. Schmeidler, Ph.D., C. M. Hannigan, B.S., G. Angelo, M.S., H.T. Grossman, M.D., C. Rosendorff, M.D., Ph.D., and J.M. Silverman, Ph.D., “Better memory functioning associated with higher total and LDL cholesterol levels in very elderly subjects without the APOE4 allele,” Am J Geriatr Psychiatry(2008) September; Vol. 16, No. 9, pp. 781-785. doi: 10.1097/JGP.0b013e3181812790. R.F. Wilson, J.F. Barletta and J.G. Tyburski, “Hypocholesterolemia in Sepsis and Critically Ill or Injured Patients”Critical Care (2003), Vol. 7, pp. 413-414. S.-C. Zhang and S. Fedoroff, “Neuron-microglia Interactions in Vitro,” Acta Neuropathol (1996) Vol. 91, pp. 385-395.